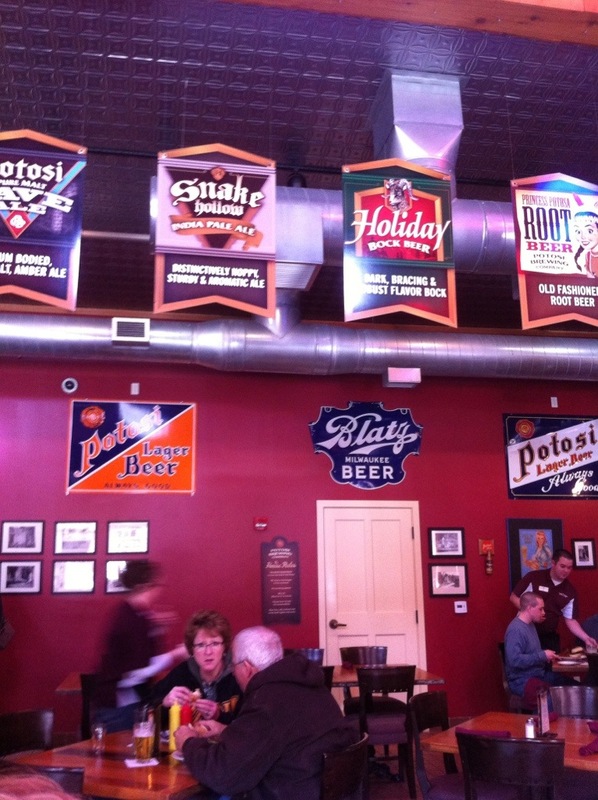 Last weekend, we stopped for lunch at the Potosi Brewery. Potosi is definitely a one horse town, missing the horse. But they have a lovely brewery to be proud of. 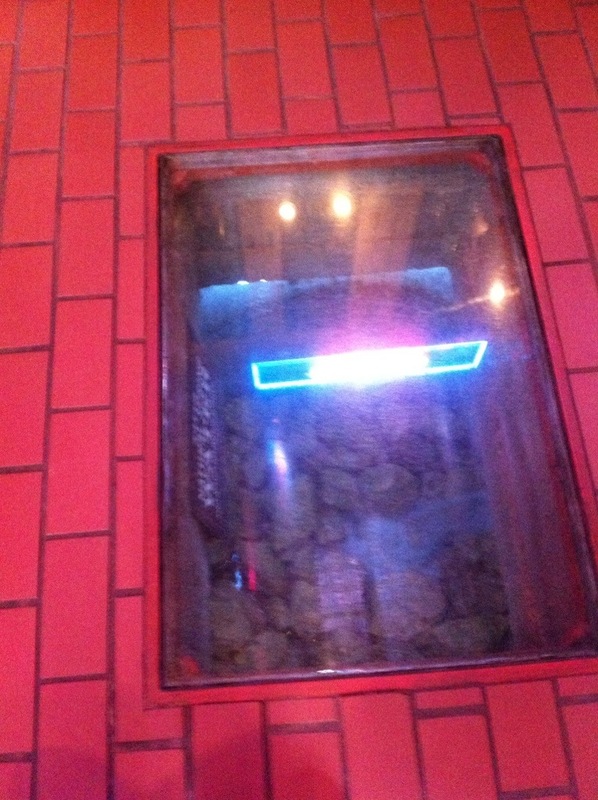 Walking in, they have a window looking down to the spring that feeds the brew. I saw the window, but wasn’t expecting water. So when I first saw the movement I startled as I thought it was a rodent moving. Hahahahahaha. Just water. While I don’t do beer anymore, I did partake in a rare soda. Homemade root beer. Yum! I would highly recommend a pint if ever you stop in. 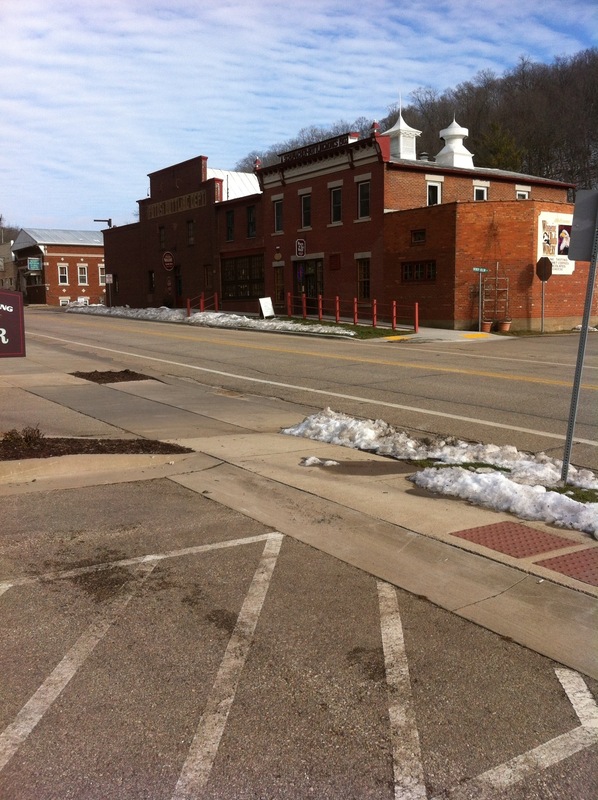 This entry was posted in General Mayhem and tagged brewery, Potosi, Princess Potosi, root beer, Wisconsin by julia. Bookmark the permalink. They used to say about the excellent quality of their beer, at the old Olympia Brewing Co. in Olympia, WA, that “it’s the water!” But when the Olympia Brewing Co., was eventually sold to the Miller Brewing Co., the new management decided to discontinue using the pure artesian spring water; the beer was never the same. On a side note, the old Olympia folks were often asked what it was that was so special about the artesian water. They answered, “It’s made by Artesians.” It’s good to know there still remain a few breweries about that use pure artesian spring water. Even if you have to go all the way to Wisconsin to find one; and even though the water is made by Artesians. BTW, on our last trip to see you, we stopped at the little town of riverside town of Parkville, MO, just off the freeway, on the way to the airport. 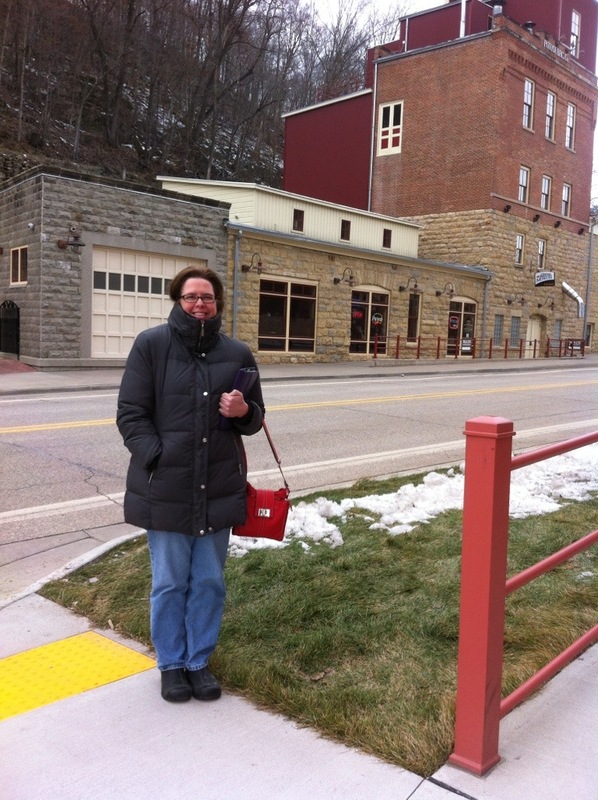 Enjoyed a nice cup of coffee at a local coffee house, and explored interesting historic old buildings. Have you been there?